One of Japan’s better kept secrets, and hopefully it will stay that way for a little longer, is the massive backcountry found on the Tsugaike Ridge in northern Nagano. 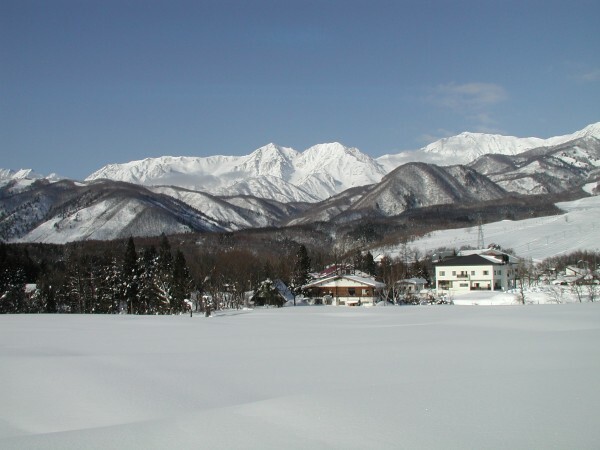 This area has fantastic powder bowls, and on a clear mid-winter day it is possible to take in a vista including most of the Hakuba valley, the high peaks of the spectacular Tsugaike ridge, and a glimpse of the cold Japan sea. 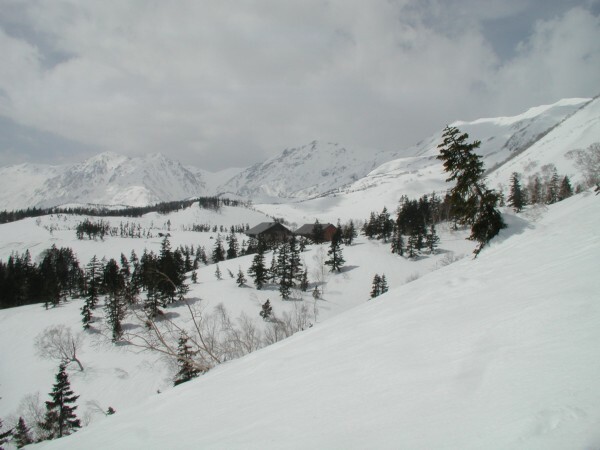 Although Tsugaike has long been known as a hiking paradise in the summer season, in the winter this area is accessible only to those able to trek into the area on snowshoes or telemark skis. There are some dangers involved in heading into the backcountry, so an experienced guide is advised. In recent years an increasing number of enthusiasts have been heading off-piste to enjoy the powder, get away from the crowds and the music blaring from loudspeakers etc. Apart from excellent skiing, this is one of the best ways to experience and enjoy Japanese winter landscapes and for the keen eyed and lucky, some wildlife. The snow cover is fantastic. 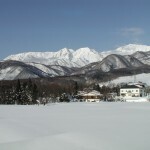 Tsugaike receives heavier snowfalls than other parts of Hakuba and the ridge protects the valley from the Siberian winds. To get into the back country you basically have three options. You either take a helicopter, telemark, or get quality snowshoes. You can walk into the backcountry on snowshoes from the Tsuga #1 pair lift. Heading into the backcountry is fairly strenuous and it requires a reasonably good level of fitness. 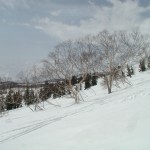 However for a fairly reasonable fee (usually 14,000 yen (12,500 yen for children), more reasonable than at first assumed), in spring you can trade your snowshoes or telemarks for a helicopter, and for two hours traverse the backcountry by ski or snowboard as you descend from the ridge to Tsugaike Kohgen. The chopper takes you to an elevation of 2200 meters (about 7200 feet ASL). Apart from the ease of ascent, using the helicopter also gives skiers the opportunity to use hardboots and powder or slalom skis instead of telemarks or cross country skis. For snowboarders alpine snowboards can be used, but freestyle snowboards tend to suit the terrain better. Edge of the treeline. 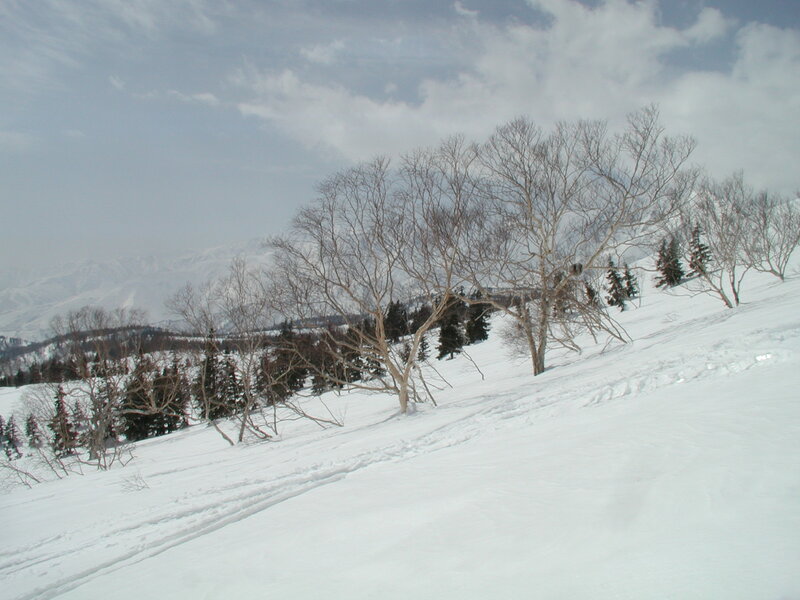 Hakuba Ridge. Helicopter skiing in Japan is nothing like landing on a glacier in New Zealand or Alaska, or seeking out powder in the Himalayas or Siberia, but there are several advantages too. It is closer, you can improve your Japanese, there are lovely outdoor onsens to soak in, and the Japanese you meet in the back country are usually so surprised to see a foreigner that they are fairly laid back and very friendly. As a general rule, the open minded seek the open spaces. 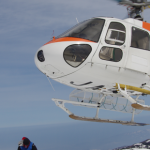 The air and ground crews at Tsugaike have their act together, making this one of the easiest and safest places to heliski, especially for intermediate/upper beginners. You don’t need to be at advanced level. What you need, is to use your brain. 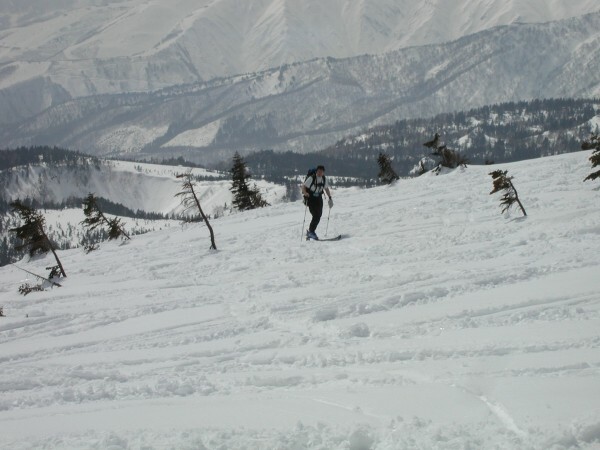 Please note though that if you haven’t been deep in the back country before, it is useful to have enough fluency in Japanese to understand the ski patrols instructions, or at least have someone with you who can interpret. Once you leave the area where the chopper will drop you, there are plenty of opportunities to go further off piste than you already are, but some of the traverses are extremely unstable in spring, so you should know which ones, especially out of duty of care for those further down the slopes. Passing the huts. We hike here during the summer. After the quick safety briefing, the chopper takes you from the helipad near the gondola station to a plateau just below the ridge. If you can ski, you can heli-ski, but ideally you should be at least a strong intermediate skier/boarder or better. It isn’t unusual to see families with kids in the backcountry, but the kids I’ve seen up there are always good skiers. Heliboarding is increasingly popular too as snowboards have a wider base providing good performance off piste and in deep powder snow. The new wide body powder skis are excellent also for a wide range of snow conditions. Good boards and skis (and snowshoes) can be rented at Uchiyama Sports at the base. Contact us in advance and then mention us. You’ll always receive a discount. Majestic views, pure mountain air, and an adrenaline rush. Never a bad start to a morning. If you take your time time it is about 2 hours to descend from the top. The closest beer (on tap) is the restaurant near the top gondola station. Enjoy! We also hike up here during the Summer program Eco-tour. 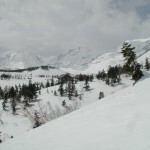 Do not venture into the backcountry without an organized group (including guide), without proper equipment, or without completing the “touzan todoke”. (If you don’t know what this is, or can’t write it in Japanese, don’t go). The powder bowls are exhilarating, and there are few better ways of experiencing the remoteness of this vast area, but safety should be paramount at all times. It is beautiful, but carelessness has seen the mountains claim a few lives, and regardless of what precautions are taken, there is always an element of risk. Go with a professional group or don’t go at all. Do you have good photographs or a story to share about this destination? If so, please share it with us, our community and our many visitors. Nagano and Central Japan have so many beautiful places, and culturally and historically important destinations. We hope that as many people as possible can enjoy and experience what it has to offer. Japan Discovery and the weekend Field Trips visit this destination regularly.